Saturdays are a good day for me to wander around Sacramento at a leisurely pace. First my boyfriend made an amazing breakfast – eggs, country gravy, biscuits, french toast sticks, fresh whipped creme and a green tea chai latte. After a couple rounds of eating, I went to drop off my dry cleaning and decided (unplanned) to go into Summer Porch. The vintage outdoor furniture had caught my eye but the real jewels were inside. 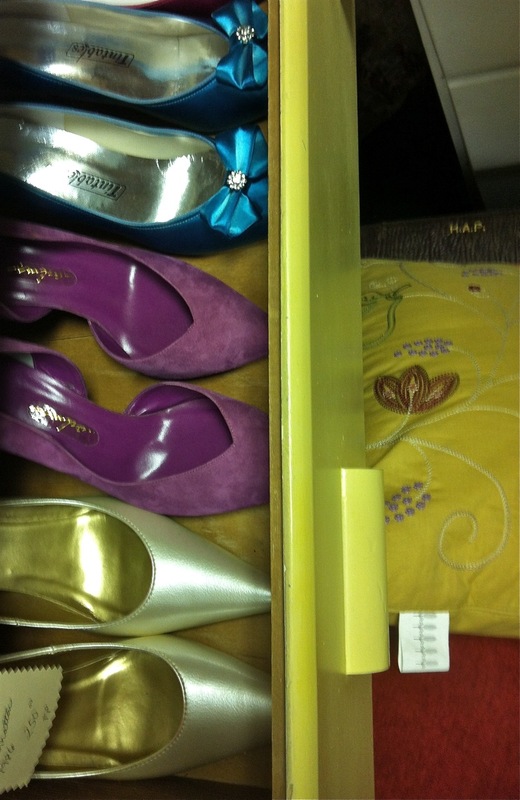 I found a lot of shoes hiding away and snagged some comfy vintage Famolare wave wedges. 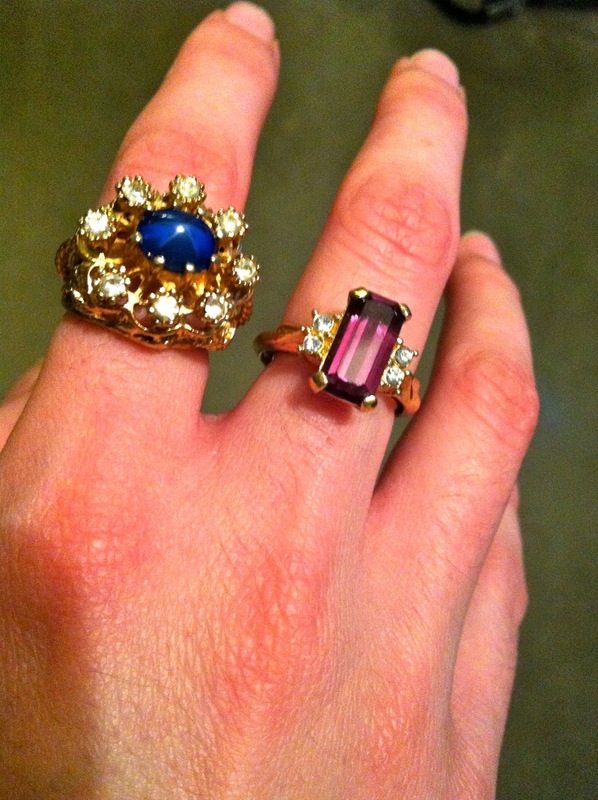 Always looking for adjustable or tiny vintage rings and found two and a vintage necklace. Then I went happily off to Facials by Noelle. She uses an all organic skin care line, Eminence. Everything smells delicious including the daily moisturizer with SPF, which has just a hint of vanilla. 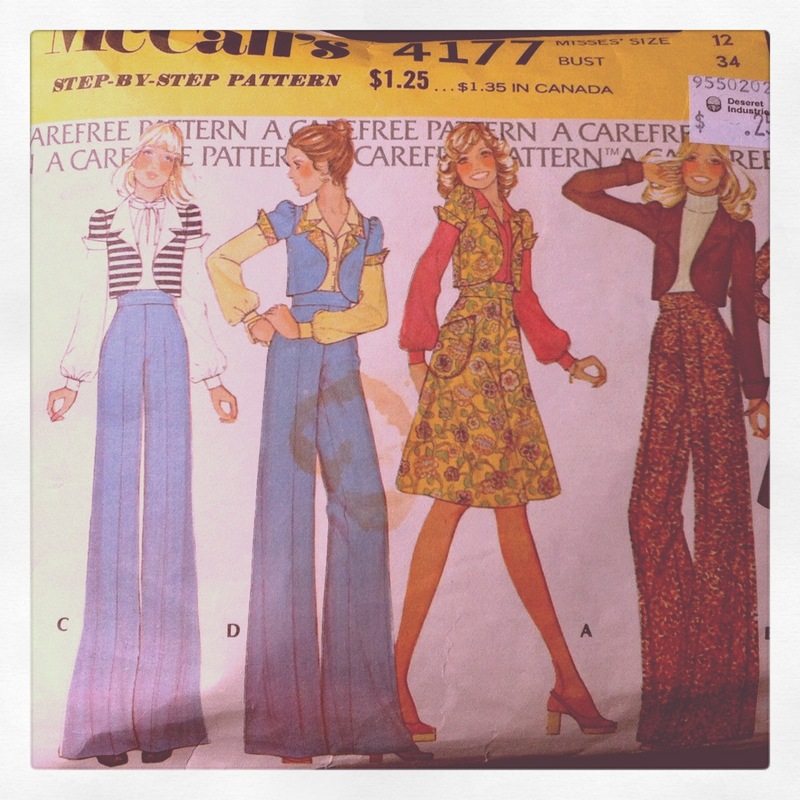 Next off to Hi-Fashion Fabrics to get fabric to make some vintage-patterned wide leg pants. 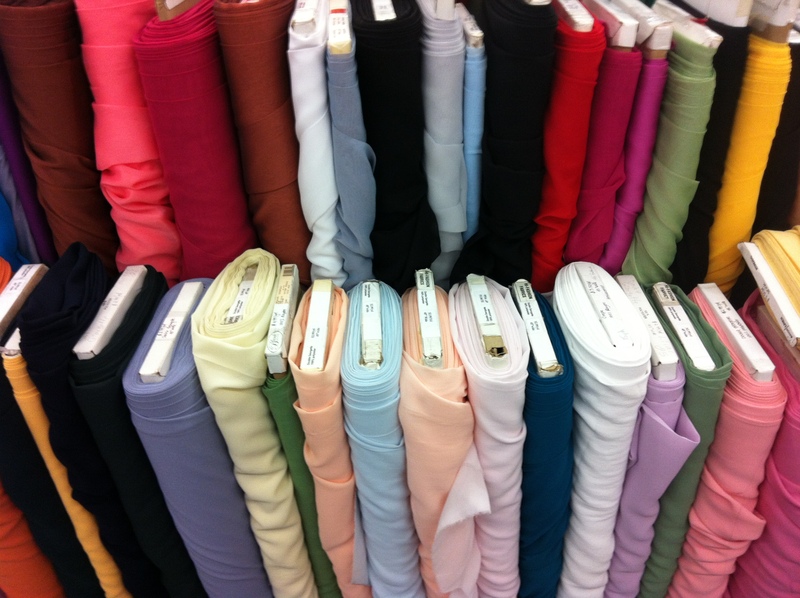 I hope this place never goes out of business because it is the only fabric shop that sells a good amount of usable fabric for cloths – the other shops are all chains that carry mostly broadcloth for quilters. I also picked up fabric and notions for a spring-time apron. 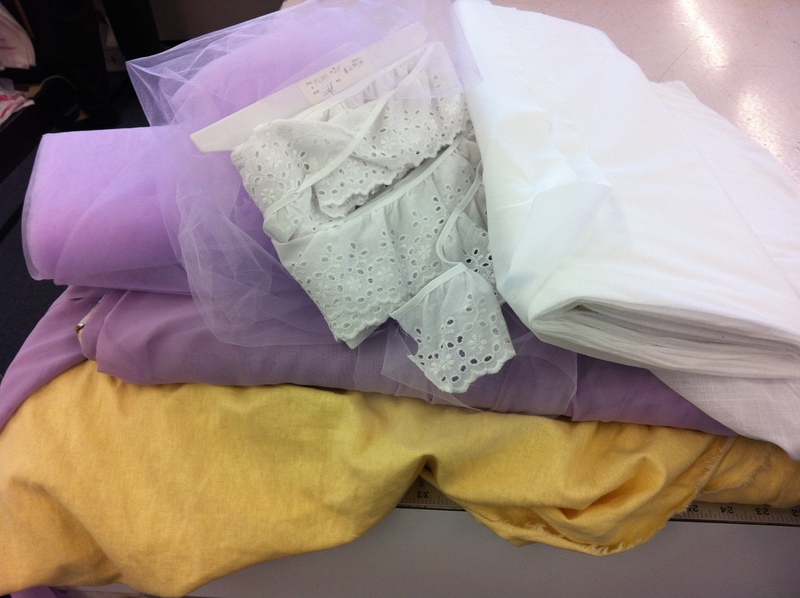 The base will be a lilac chiffon with a smaller overlay apron in white cotton with an eyelet trim. Anyways it’s an experiment in making the most fabulous Easter hostess apron that’s ever been seen. Not trying to hype it up or anything. 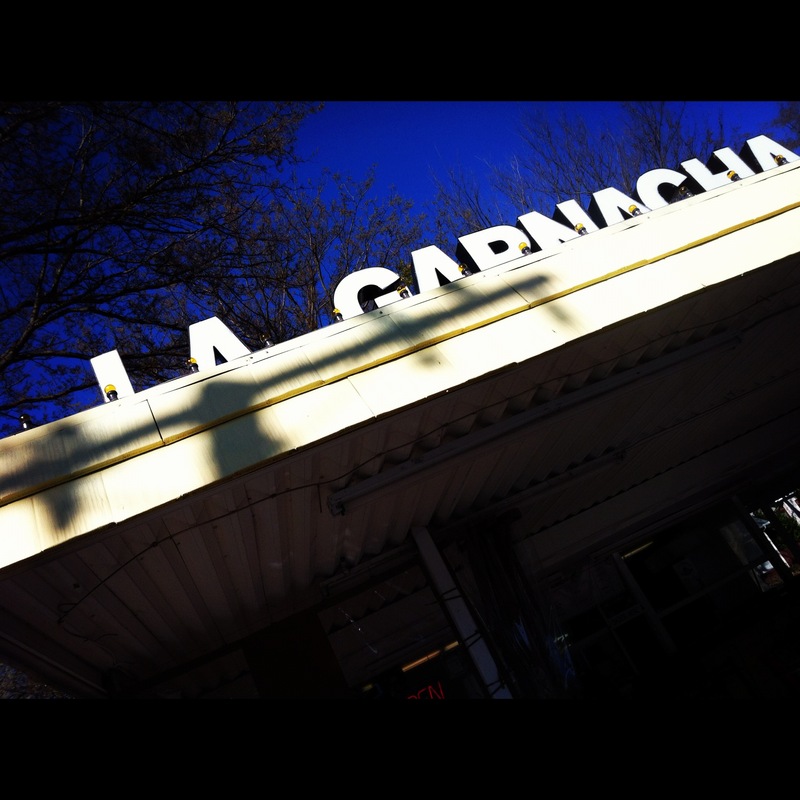 No perfect day would be complete unless La Garnacha is involved. The burrito has already provided two meals and will be providing a third very soon. Then off to a wine party where Cory made the tinyest taco in the entire world. I got to wear my new Charlotte Ronson dress with my Kenneth Jay Lane gold hammered earrings – all Gilt-y purchases and my favorite vintage taupe heels. The fave drink of the women that night was Allure, pink sparkling wine. Yum.